Custom mega prosthesis for distal femoral articular fractures with substantial bone loss is a rational management strategy, that gives the clinical and functional advantages over other conventional reconstructive options and it certainly deserves a place in the surgical armamentarium. Department of Orthopaedics, SRM Medical College and Research Centre, Chennai, Tamil Nadu, India. 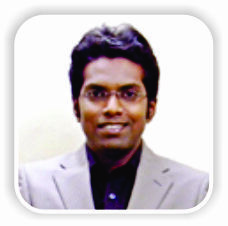 S 29, G Block TNHB Apartments, Luz Church Road, Mylapore, Chennai – 600 004, Tamil Nadu, India. Introduction: Management of distal femoral intra-articular fracture with bone loss is an arduous endeavour. Although multiple reconstructive alternatives are available, the complexity of the fracture, amount of bone loss and the patient’s expectations determine the treatment paradigm, before contemplating the pertinent treatment option for the patient. Case Report: We report the case of a 47-year-old male patient involved in a road traffic accident in which he sustained an open distal femoral intra-articular fracture with substantial loss of distal femoral shaft and the entire metaphyseal regions. Reconstruction options considered include osteochondral distal femoral allograft, ilizarov bone transport, free vascularised fibular graft with/without allograft, arthrodesis, and custom megaprosthesis of the distal femur. Considering all the merits and demerits of the aforementioned options and including patient’s expectations in the treatment algorithm, custom megaprosthesis of the knee was designed and implanted. At 18 months follow-up, our patient showed gratifying results with a Musculo-skeletal Tumours Society MSTS score of 26, good articulation of the segments, no somatosensory or motor deficit, no infection, no dislocation, or periprosthetic fracture. Conclusion: Using megaprosthesis to treat such intricate trauma provides better reconstruction with good restoration of limb length and torsion, improving the overall functionality of the limb and patient’s psychological rehabilitation. Keywords: Custom megaprosthesis knee, trauma distal femur, distal femur bone loss. Management of distal femoral intra-articular fractures with bone loss still remains a formidable challenge to treating orthopaedic surgeons. Reconstruction options include osteochondral distal femoral allograft, ilizarov bone transport, free vascularized fibular graft with/without allograft, arthrodesis, and custom megaprosthesis of the distal femur [1, 2]. Each of these treatment strategies has its advantages and limitations that need to be considered in deciding on the appropriate management, not to forget the patient’s expectations and his life condition. We report the case of a 47-year-old male patient involved in a road traffic accident in which he sustained an open distal femoral intra-articular fracture with substantial loss of distal femoral shaft and the entire metaphyseal regions. Contemplating all the above-mentioned treatment options, we finally sought to custom megaprosthesis due to the presumed advantages of direct stability and early weight bearing. 47-year-old male patient presented to us with an open fracture of the right distal femur following a road traffic accident. He was resuscitated, hemodynamically stabilized according to the institutional advanced trauma life support protocol. He had a Gustilo Anderson Type IIIc open distal femur fracture with bone loss of approximately 20 cm, lacerated quadriceps muscles and femoral artery at distal thigh level. 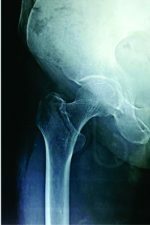 Radiographs showed extensive bone loss involving the entire metaphysis and the distal femoral diaphysis that it could not be classified, though technically it could be Muller AO type 33C2 . Damage control protocol was applied, and the patient was immediately taken up for surgery by a team of trauma and vascular surgeons. Informed consent was obtained from the patient with particular mention that he might require multiple surgeries to reconstruct his limb. Femoral artery repair (within 3 hours of injury) was done with long saphenous venous graft to restore the vascularity. Quadriceps repair and wound debridement were performed; a knee spanning external fixator applied after achieving articular restoration by condylar fixation (Fig. 1). Partially threaded 6.5 mm cancellous screw was used to achieve interfragmentary compression of the distal femoral articular surface. 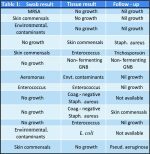 Empirical antibiotic with Gram-positive, Gram-negative, and anaerobic cover was given preoperatively and for 72 hours after surgery (cefazolin, gentamicin, and penicillin). At relook debridement, antibiotic-impregnated (lyophilizedvancomycin) cement spacer was applied to maintain the soft tissue tension for future reconstruction. Anti-edema measures and anticoagulants were used following Stage 1 and Stage 2 surgical procedures, as advised by vascular surgeons. The antibiotic cover was tapered to cefazolin alone, which was continued for 48 hours and stopped. After soft tissue healing, at 2 weeks, external fixator was removed and above knee posterior slab was applied for pin tract healing. Pros and cons of feasible surgical reconstructive procedures were discussed with the patient, and finally, we decided to go with custom megaprosthesis to give the patient a mobile knee and early weight bearing as expected by him. Written consent in patient’s native language was obtained for the procedure and usage of his clinical data for educational and publication purposes. Computed tomography scan of both femora was done to collect morphological data of the femur for processing the implant using computer-aided design and computer-aided manufacture techniques. The segmental loss was 20 cm. Comparing with the normal side, the position and level of the knee joint were identified by matching and superimposing the images. Sterile packed cement linked prosthesis made from titanium alloy (Ti 6Al 4V) was implanted 4 weeks following. The procedure was done under Epi-Spinal anaesthesia. A curvilinear incision extending from the proximal third thigh to the proximal tibia incorporating the scar on the medial distal thigh was made to avoid wound complications. The anteromedial intermuscular plane between the vastus medialis and the rectus femoris was used to reach the femur. The Steinmann pin impregnated cement spacer was removed. The entire femoral condyle was meticulously freed from its capsuloligamentous attachments and removed en bloc (Fig. 2). The proximal end of the native femoral shaft was freshened and reamed. Tibia was prepared using the total knee replacement cutting block. The long-stemmed customized megaprosthesis was inserted after cementing the femoral and tibial canals with careful restoration of length, rotation, and version (Fig. 3). Linea aspera was identified and an anti-lineal line made on the anterior femoral cortex as a guide for proper femoral rotation. During the entire procedure, the extensor apparatus was well preserved. The soft tissue tension and stability were found to be satisfactory and adequate. Full extension was achieved without hamstring tightness, and flexion upto 160° was possible intraoperatively. The knee was taken through several cycles and patellofemoral tracking assessed, which was good. Sequential multi-layered wound closure with suction drain tube was done to cover the prosthesis. The operating time was about 150 min with an estimated blood loss of 300 ml. Antibiotics (cefazolin and gentamicin) were given for 48 h till drain removal. Chest physiotherapy and isometric quadriceps exercises were started on the first post-operative day. The patient was put on continuous passive motion knee after drain removal. Post-operative radiographs showed satisfactory alignment and fixation (Fig. 4 and 5). The knee flexion was gradually increased to 90°. 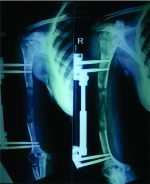 Protected weight bearing with Walker was started within the first week of surgery. The length of hospital stay was 7 days. Staples were removed on post-operative day 14. Clinical and serial radiological evaluations were conducted at 6 weeks, 3, 6, 12, and 18 months. Blood parameters for infection were monitored for 6 weeks. During the follow-up visits, post-operative function was assessed using the Musculoskeletal Tumor Society score (MSTS) . Pain, functional capacity, emotional acceptance, walking distance, and use of support and gait were evaluated each on a 5-point scale, with a maximum total score of 30. Full unprotected weight-bearing was allowed 3 months after the surgery following radiographic evaluation. At 18 months of follow-up, the patient was walking without support with a well-healed surgical scar. His knee flexion was upto 100°with no extensor lag. His MSTS score was good (26/30). There was no infection, no dislocation, no change in implant position, or periprosthetic fracture. Not all intra-articular fractures of distal femur are amenable to fixation with plates and screws, particularly if they are associated with severe comminution and substantial bone loss. Alternative treatment options include osteochondral distal femoral allograft, free vascularized fibular grafting with/without allograft, ilizarov reconstruction, knee arthrodesis, and custom megaprosthesis [1, 2]. Although published data show acceptable survival rates with structural osteochondral allografts in the biological repair of massive bony defects, main concerns are the potential immunologic reaction, slow and superficial bone healing, longer time of immobilization with complications of infection, nonunion, and fracture. Graft acquisition, storage and perfect sizing of the graft are definitely major drawbacks precluding its usage [2, 5]. Free vascularized fibular grafting would not be appropriate in this case as the segmental bone loss was about 20 cm and there was not any metaphyseal support for the graft’s distal fixation. Furthermore, to graft large voids, vascularized free fibula needs to be mixed with segmental allograft for mechanical stability . Use of ilizarov reconstruction with bone transport was deferred as it would require spanning the knee for adequate stability since the remnant femoral condyles were small with lack of metaphyseal sleeve. Our case is a complex clinical scenario with limited therapeutic options. When treating such trauma with bone loss, the patient’s expectations, his life situation, and level of compliance need to be considered in formulating the correct treatment plan. Understanding the pros and cons of each therapeutic measure avoids indiscretion in choosing the right treatment for the patient. The Non-Union Score System guidelines help us decide on the appropriate treatment strategy in such cases . It employs a score between 0 and 100 to enable surgeons to identify four groups of nonunions and weigh up the treatment options. Although this score is for nonunions, its use here, in this case, is incontrovertibly pertinent. Accordingly, our case falls in Group 4 with a score of 77, requiring arthrodesis, amputation, or megaprosthesis. Patient’s need for a mobile knee can be accomplished only by reconstructive arthroplasty, and hence we sought to megaprosthesis as our treatment option. Stuyts et al. used custom-made lateral femoral hemiarthroplasty for traumatic bone loss in a 32-year-old patient which revealed an excellent pain-free level of joint function at 24 months of follow-up with no signs of implant loosening or migration . Rose et al. in a very similar case showed good pain free function with Oxford Knee Score of 40/48, Knee Society Score of 87/100, and a functional score of 100/100 . The use of megaprosthesis to treat large segmental defects of bone branches out from its biomedical application in surgical orthopedic oncology. This treatment strategy enables a shorter rehabilitation time compared with other treatment options and may preclude the possibility of disease transmission seen with allograft implantation. Furthermore, the patient’s compliance is good with a lower cost of surgery and improved healing time. Patient’s hospital stay is reduced and multiple surgeries avoided. Stability is achieved, and immediate weight bearing is allowed after surgery which improves the psychology of the patient. Further, shorter rehabilitation avoids deep vein thrombosis that occurs with recumbency. Using megaprosthesis for limb reconstruction enables better restoration of limb length and limb torsion compared with other conventional methods . Calori et al. reported encouraging results at 18 months follow-up in their 32 patients who underwent lower limb megaprosthesis for large bony defects. 13 patients had a distal femoral replacement with acceptable functional recovery. There were no complications but for one periprosthetic fracture . Vaisbya et al.did megaprosthesis for 10 elderly patients with resistant nonunion of the distal femur. 8 patients followed up showed satisfactory alignment and range of motion. Median Knee Society pain score and Knee Society function score were 84 and 88, respectively, at 4 years follow-up . Davila et al. treated 2 patients with supracondylar distal femoral nonunions. Megaprosthesis was well tolerated by these patients with a good range of motion. The Hospital for Special Surgery knee scores increased from 54 to 70 points in one patient and 42 to 73 points in the other . Our patient showed gratifying results with good articulation of the segments with no somatosensory or motor deficit, no infection, no dislocation, or periprosthetic fracture. The MSTS score is specific to tumor surgery, but the original authors suggest that it can be used for all limb salvage procedures. The score was not recorded preoperatively as the patient was immobile making the scores low and of limited value. The score at 18 months was 26, which is good. Improvement in the overall functionality of the affected limb is evident from the follow-up scores. This treatment strategy has given the best possible correction of limb deformity considering the patient’s expectations. Clinical scenarios like this one do not entail trenchant treatment algorithm, rather an unconventional strategy tailored to the fracture morphology, clinical presentation, and the patient’s expectations. We report excellent patient satisfaction and functional result in our case after 18 months, nonetheless it requires further research into treating such complex trauma before this technique is widely adopted. Discerning the correct treatment strategy for distal femoral intra-articular fractures with substantial bone loss is onerous and not always straightforward. Custom megaprosthesis for such fractures may look perverse and unprecedented, but it gives the theoretical advantages over other conventional reconstructive options. The case is presented to discuss its diverse management options and the need to include the patient’s choice in providing the best possible clinical and functional results. 1. Lewis SL, Pozo JL, Muirhead-Allwood WF. Coronal fractures of the lateral femoralcondyle. J Bone Joint Surg Br 1989;71:118-20. 2. Yun-Fa Y, Guang-Ming Z, Zhong-He X, Jian-Wei W, Zhi-Qi H, Shi-Feng W. Structural bone allografts with intramedullary vascularised fibular autografts for the treatment of massive bone defects in extremities. J Med Coll PLA 2007;22:(5). 3. Marsh JL, Slongo TF, Agel J, Broderick JS, CreeveyW, DeCoster TA, et al. Fracture and Dislocation classification compendium. Orthopaedic Trauma Associationclassification, database and outcomes committee. J Orthop Trauma 2007;21:S1-33. 4. Enneking WF, Dunham W, Gebhardt MC, Malawar M, Pritchard DJ. A system for the functional evaluation of reconstructive procedures after surgical treatment of tumors of the musculoskeletal system. Clin OrthopRelat Res 1993;286:241. 5. Muscolo DL, Ayerza MA, Aponte-Tinao LA, Ranalletta M. Use of distal femoralosteoarticular allografts in limb salvage surgery. Surgical technique. J Bone JointSurg Am 2006;88:305-21. 6. Calori GM, Phillips M, Jeetle S. Tagliabue L, Giannoudis PV. Classification of nonunion: Need for a new scoring system? Injury 2008;39:59-63. 7. Stuyts B, Peersman G, Thienpont E, Van den Eeden E, Van der Bracht H. Custom-made lateral femoral hemiarthroplasty for traumatic bone loss: A case report. Knee 2015;22:435-9. 8. Rose B, Bartlett W, Blunn G, Briggs T, Cannon S. Custom-made lateral femoralcondyle replacement for traumatic bone loss: A case report. Knee 2010;17:417-20. 9. Calori GM, Colombo M, Ripamonti C, Malagoli E, Mazza E, Fadigati P, et al. Megaprosthesis in large bone defects: Opportunity or chimaera? InjuryIntJCare Injured 2014;45:388-93. 10. Vaisbya R, Singh AP, Hasija R, Singh AP. Treatment of resistant nonunion of supracondylar fractures femur by megaprosthesis. Knee Surg Sports TraumatolArthrosc2011;19:1137-40. 11. Davila J, Malkani A, Pauso JM. Supracondylar distal femoral nonunions treated with megaprosthesis in elderly patients: a report of 2 cases. J Orthop Trauma 2001;15:574-8. 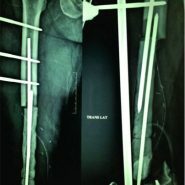 How to Cite This Article: Douraiswami B, Rajagopalakrishnan R, Sukumaran S A K, Isvaran S. Custom Mega Prosthesis Knee: A Panacea for Intricate Trauma of Distal Femur with Bone Loss. Journal of Orthopaedic Case Reports 2019 Jan-Feb; 9(1): 37-40.